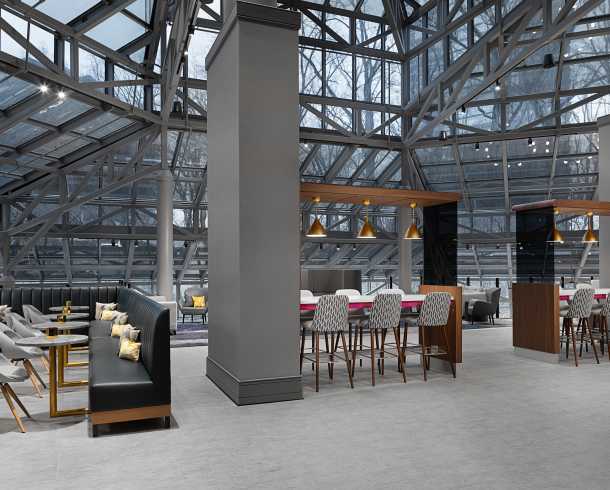 Entirely transformed to meet the evolving needs of modern business travelers, the newly renovated Crowne Plaza® Atlanta Perimeter at Ravinia ushers in a groundbreaking new era in hotel design. 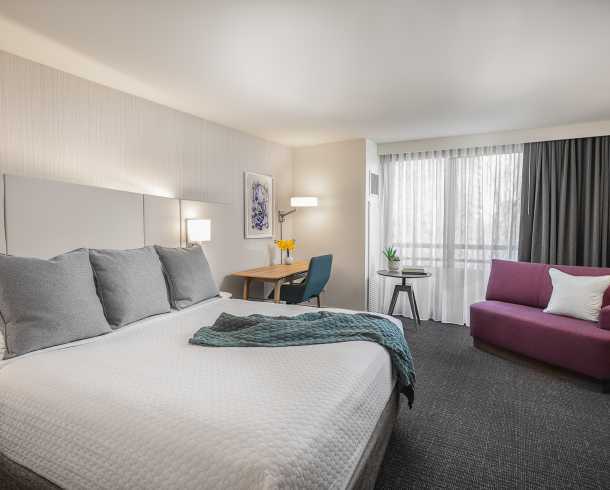 Unwind in 495 guest rooms so advanced they’ve received a U.S. patent, collaborate in “third spaces” that seamlessly transition from work to play, and experience a hotel that instinctively delivers culturally relevant, technology-enabled solutions for your blended lifestyle. Located within walking distance of Perimeter Mall and a MARTA station, guests can easily explore or take their business outdoors by utiliizing a complimentary shuttle that operates within a 2 mile radius of the hotel.